We provide environmental compliance services on as required basis at highly competitive hourly rates. Outsource your environmental services on as needed basis rather than hiring full time permanent staff. Our professional engineers and certified environmental and GHG specialists, industrial hygienists and EMS auditors will help you compiling most of your compliance data and prepare reports on regulatory forms for online and in PDF copies for regulatory submittal. A job specific or a longer-term on-going support based proposal is submitted after initial site visit and meeting for mutual understanding of a clear job scope. An e-cloud based portal is established for the project to exchange data and files, review project progress, and final deliverables. If desired all project related regulatory reporting can be set in the portal for client to generate required reports on regulatory format for direct submittal. 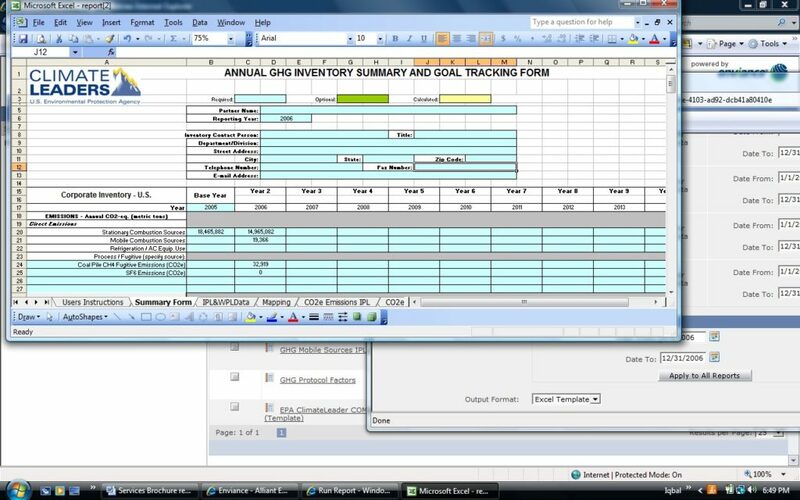 All relevant data, forms and export will permanently exist in the portal for future reference and use. The advantage of above approach for the client is an e-cloud based project work will be almost at half cost compared to traditional environmental services provided by other consulting companies. Project will have lower eco-footprint, paperless project work and e-record keeping.